Morpheus was the Greek god of dreams. His father Hypnos was the god of sleep. Morpheus was able to transform himself into the likeness of any human being and most often appeared in dreams as the sleeper�s beloved. Orpheus was another Greek mythological figure and was one of the most renowned of the singers and poets of Antiquity. He was also regarded as one of the gods of music. Girolamo Frescobaldi brought his two volumes of Arie Musicali to publication in Florence in 1630 and distanced himself from Caccini�s purely narrative madrigals by so doing. Frescobaldi brought together secular sonnets, sacred madrigals, recitatives, arias and ensembles in every possible style; it is this immense variety above all else that makes a recording of the complete Arie Musicali so exciting and challenging. After the nomination by the International Classical Music Awards of the first CD by CantoLX, dedicated to the first book of Arie Musicali by Frescobaldi, the ensemble is proud to present the recording of the second book by this same composer. Where the first CD combined music of the 17th century with Song Books by John Cage from the 1970s, the new CD couples early music with modern improvisations by the Luxembourg organist Maurice Clement. 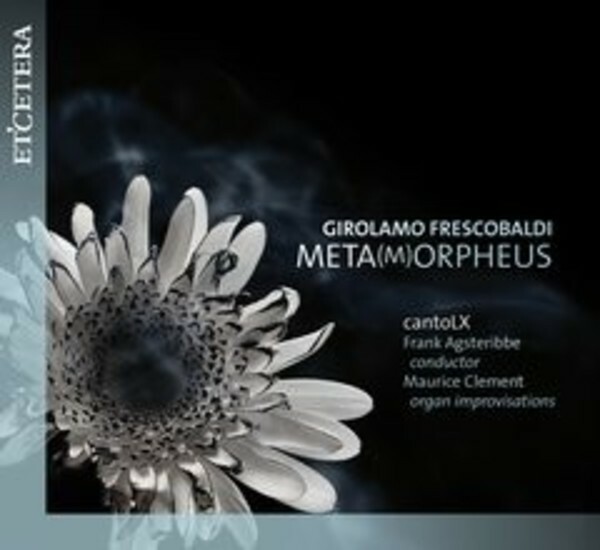 The title Meta(M)Orpheus refers to the work of transformation that the organist, inspired by the work of Frescobaldi, realized during his improvisations. The recording was made in August 2014 during the prestigious festival of Early Music in Bruges.